This pc program allow view all characters information, images, and their equipment. Include some filters and sorting features. By default will load data from ".\Data" folder, and images will stored to ".\Images" folder. Can be changed in options menu. I limit parallel downloads to 16 for characters and to 32 for equipment icons. So at 1st launch it takes some time to load all icons. "Export Master" - Export any master data to text file. "Import Master" - Load master data only for export function. "Experimental->getMaster" - Starting TCP listener on localhost:8778, and waiting for POST request with getMaster response from chrome plugin. See GitHub repository "fkg_getMaster" folder. This program totally free. You can use this program and its source as you want. But remember, downloaded DMM content has copyright protection. Last edited by Nakasugi; 01-15-2019 at 10:35 PM. Очень удобно, и во многих случаях быстрее чем шариться по вики! @LostLogia4 Thanks for link. But first I want learn git tags system. Maybe next time. Emotion selection for "bustup" images. Eyes animation and "onclick" animation for "home" images. Filter for characters with exclusive skin. 2nd filter combobox for abilities. Sorting by total maxed stats. I'm working on a proxy that would allow you to do various things, including translation of large parts of the game. 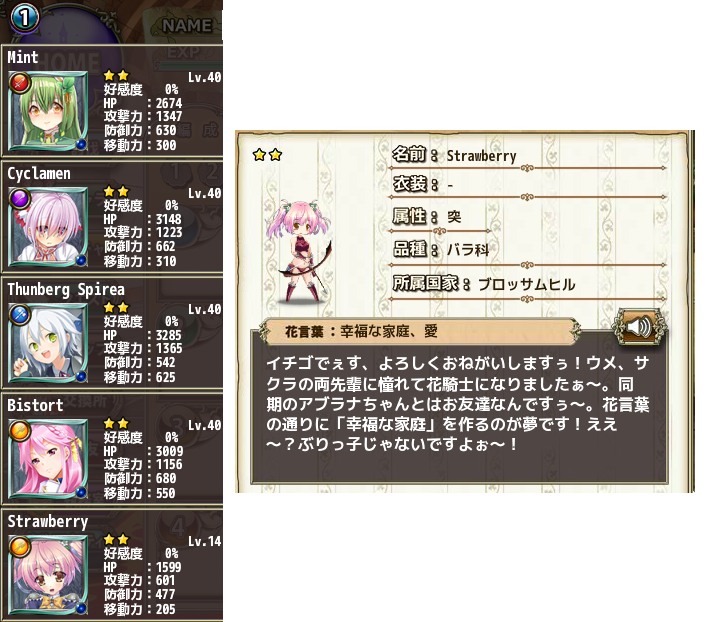 It should be possible to automatically use translations from the Nutaku version for content that exists in both versions. @lesderid You must store Nutaku getMaster first, then use it for translation. You can't just replace one data to another, because differents format. @lesderid I heard that a very similar program existed for KanColle, but the KC devs gave a Cease and Desist order because it was viewed as cheating software. I probably would've taken a similar route if it weren't for this. It might be worthwhile to ask the FKG devs directly if they'd allow such a thing... (but they'd probably just tell you to play the Nutaku version instead). Um is this a good idea? I hope so. Best to check it first or we might got in trouble for that. @lesderid I don't really think that is a good idea. Considering we already have an English version + we might get in trouble with the dev when they saw this. but still, I don't think we really need to translate the Japanese version of the game like that because the only thing you ever need for translation is the abilities for the girls and equipment. The rest, we can just go to Nutaku or at least learn Japanese language if you want to know the lore of the game. Highly likely. Most dev company that work on a game with multiple server of different languages will definitely say that. They will be like "why do you go through all the trouble for that when someone else already done that for you?". Last edited by MrHueHue; 08-15-2017 at 03:34 AM. For the record, I would very much like to see something like what lesderid is working on; I support the project. I just don't know how the devs would see it. If we want to delve into it, I could send them an inquiry and ask for their opinions directly... Or you could just work on it in secret and hope they never find out.